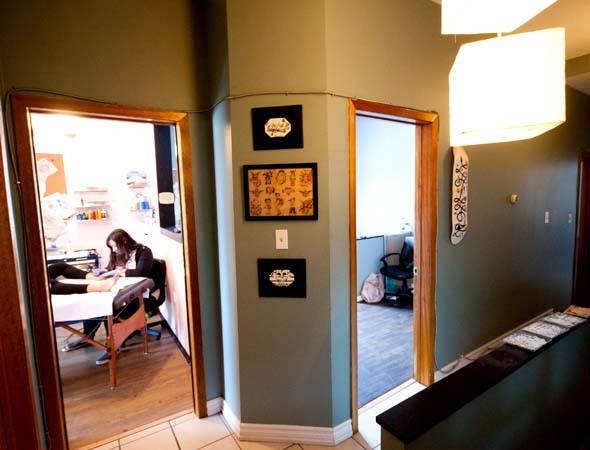 Speakeasy Tattoo puts you at ease when you enter. 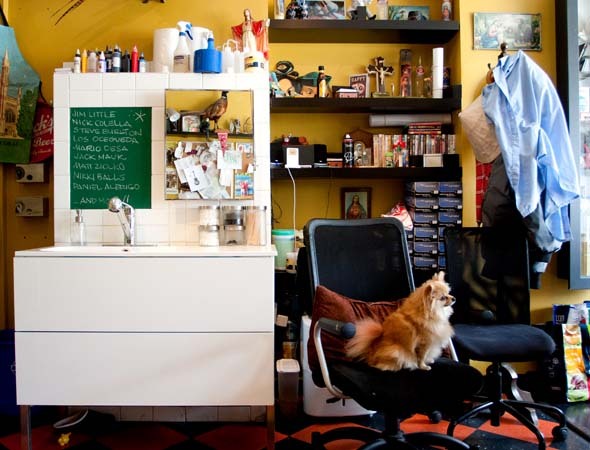 No pretense -- just art, a fluffy Pomeranian named Wilma and traditional-style tattoos. And as I make myself comfortable in the street-level front room, Lizzie Renaud, Speakeasy's head honcho, comes in with a coffee in hand. After some pleasantries and a brief photo op with Wilma, Lizzie mentions: "Jay saved me from tattooing out of my kitchen." She's talking about one of the city's most revered tattooers (Jay Decator) from one of the city's most revered tattoo shops ( Passage Tattoo Parlour ). "He wrote me an e-mail one day and said I could come work at his shop. It was probably the most thrilling thing that ever happened to me." This was back in early 2004, following an apprenticeship with another well-known tat joint, the Queen St. behemoth, New Tribe . 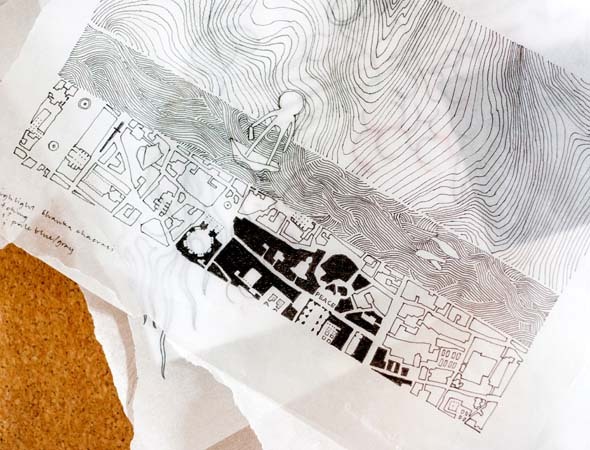 After putting in six years at Passage, building a steady clientele, ideas started to float around Lizzie's head about what a tattoo shop would be like if she was running the show. Two years ago this June, it became a reality and Speakeasy opened its doors to its Little Italy-slash-Koreatown environ. 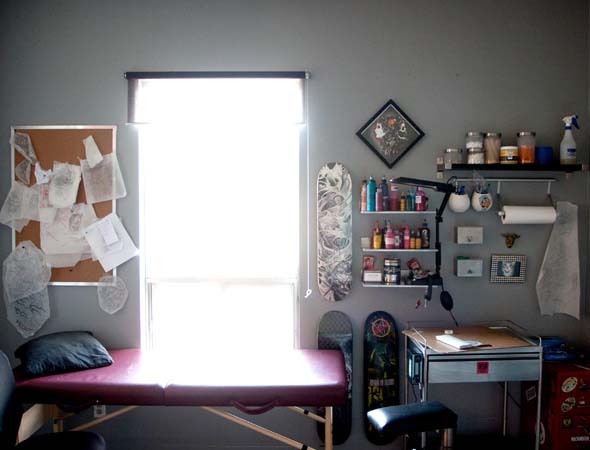 Speakeasy is built on the traditions of tattooing and the respect inherent in the culture. 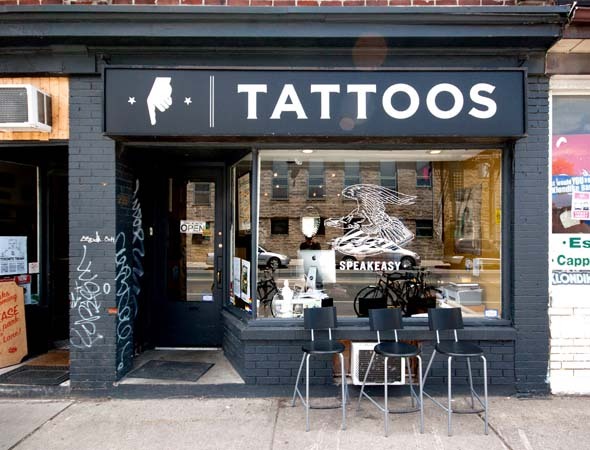 They didn't put a "tattoo sign" on the storefront for a year because Lizzie felt they needed to earn their spot in the city's tattoo culture. To pay their dues, in effect. With four artists (two Jens, Adrian who tackles a lot of walk-ins, and Lizzie) the shop can handle a diverse set of styles and techniques. 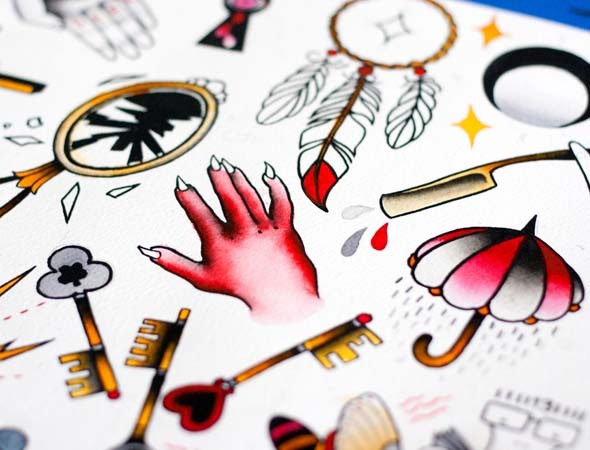 A diverse set of styles for just as diverse a customer base, such as, 18-year-olds getting traditional back pieces to 70-year-olds getting that tattoo they never got. The shop also likes to carve out its clientele by being open, both figuratively and literally. The shop doesn't close until 10pm from Monday to Saturday, open till 6pm on Sundays. That's late for tattoo shops. But that's the point at Speakeasy: "We will do anything for anybody at anytime," Lizzie remarks. And she means it. Lizzie has built her shop, and the shop's traditional culture, based on what she has taken in from her various guest stints around the world. She's tattooed in England, Belgium, France, Holland, New York, Chicago, California, Alberta, Washington inter alia . She traveled to these places because she wanted to learn, and learn she did. "I needed to get better at tattooing," she says, humbly. "And the help was out there." 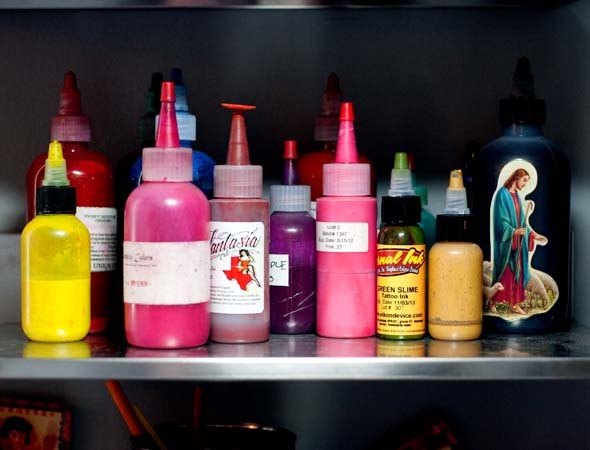 Having seen the world of tattooing, Lizzie is proud of Toronto's tattoo scene and its bundle of eclectic and skilled artists. She does recall, though, being shocked that Toronto wasn't well known on the world map of tattooing. "I love a lot of the tattooing that goes on in Toronto and it doesn't make sense that it hasn't had more of a worldwide mark yet."